Sausage making nights are planned at Maidwell, approx cost £17 per member, to include a 1lb of sausage. Bring own wine and glass/es. Dates 30 August and 27 September. Skittles nights at the Cherry Tree, Market Harborough planned for 22 August (instead of the cancelled Hobbies night) and 13 September. Details to follow. Scrapbooking will start on Friday 7 September. Details to follow on all the above or contact us. An engaging talk last night from Rich Keenan, a Chief Inspector in the Leicestershire Constabulary. Rich grabbed our interest right from the start, explaining how, as an 18 year old, he plucked up courage to tell his father that he was planning to go to priest training college. Located in the wilds of the Durham hills, he spent 2 years’ training before a group of female friends lurred him away. He began a chequered career from selling aluminium double glazing, doing shifts as an overnight care worker in a hostel to teaching in a devoutly run Jesuit school. Eventually joining the Met, Rich humourously took us through his training, placement in upper class Kingston on Thames to handling protest crowds in Trafalgar Square. Family needs brought him to Leicestershire, where diverse roles have included work in rural Melton Mowbray (making decisions on whether the road was too muddy) to the Somali community in Highfields. His local link? Getting married 22 years’ ago in the Congregational Church where we meet monthly. “Absolutely delicious!!! 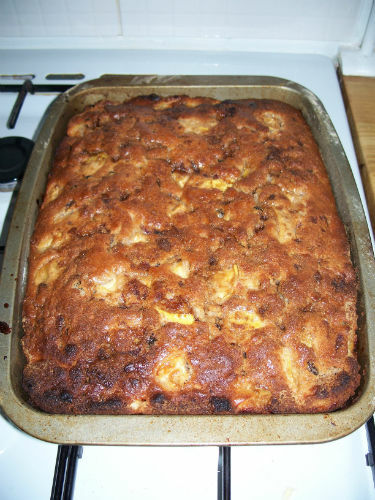 !”, was committee member Fiona Thompson’s verdict when she made a Friendship Cake. I can vouch for that, too, having made one myself and sampled a friend’s. 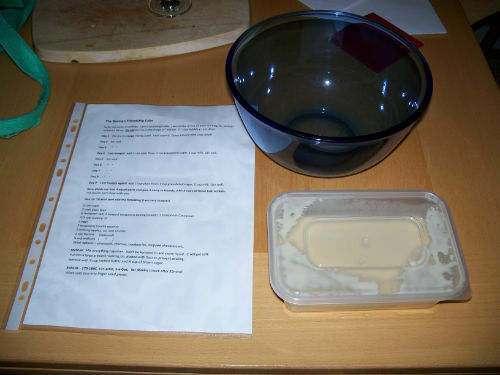 Make a starter and pass it round to other WI members to nurture and then make a German Friendship Cake Recipe themselves.